2014 had been an incredible year for the mobile industry - both in our local market and in the international scene. That said, I want to take time to look back at some of what I think are the best smartphones that were launched last year; These are the handsets that - I believe - have made their mark in tech history be it because of tremendous market performance or by being a vehicle for introducing innovations that make consumers' lives better. 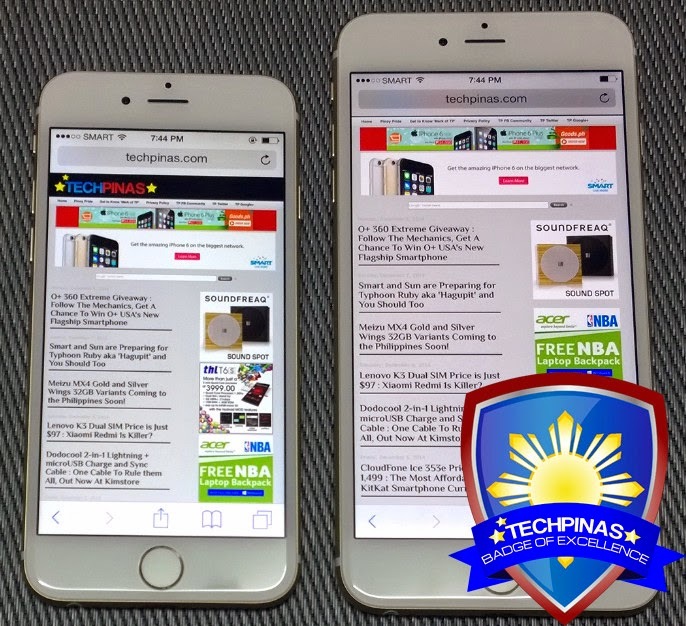 For the first time in history, the Cupertino company released its flagship smartphone in two sizes; One with a 4.7-inch 1334 x 750 pixels display - the Apple iPhone 6 - and the other with a 5.5-inch 1920 x 1080 pixels screen - the Apple iPhone 6 Plus. The best selling iPhone combo to date, this duo gave Apple its biggest smartphone pre-order numbers yet. 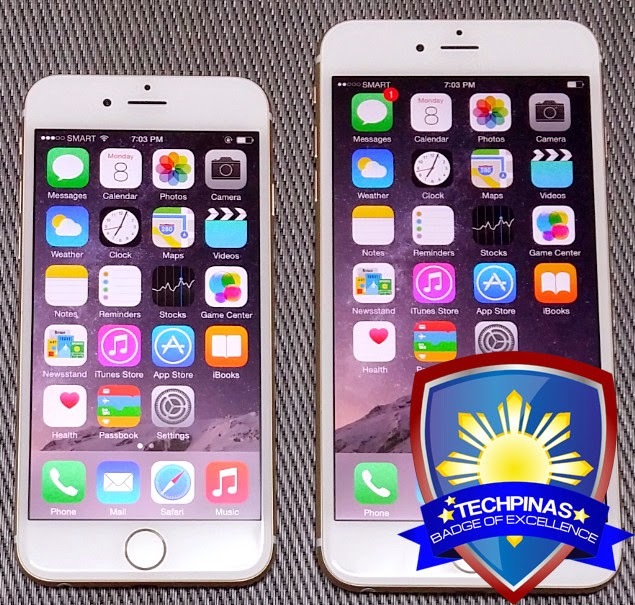 The iPhone 6 and 6 Plus have powerhouse features and technical specifications - headlined by their 64-bit A8 chipset and iOS 8 operating system - but if you want to bring all of those to their fullest potential, I would suggest that you bundle these devices with industry-leading mobile services and ultra-fast LTE connectivity speeds that only Smart Communications can provide. 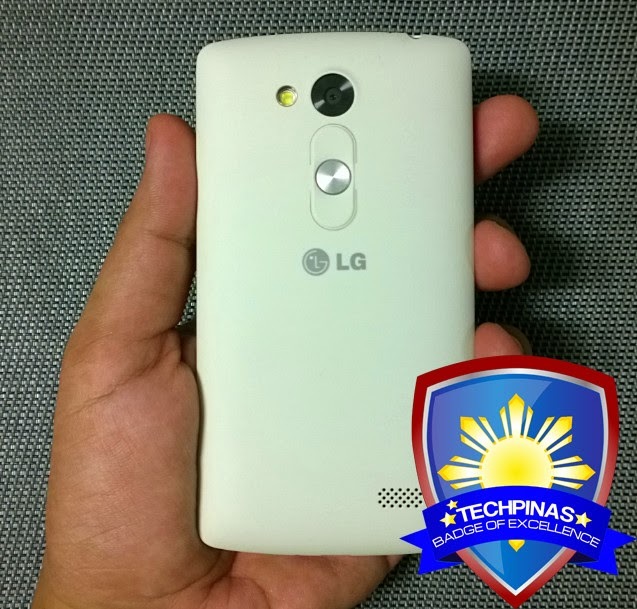 One of our first TechPinas Badge of Excellence Awardees, the LG G3 received top honors from various technology blogs and websites in 2014 because of its attractive Floating Arc design, innovative Rear Key, large and crisp display, top-notch innards, Laser Autofocus imaging enhancement, and unique LG-made software features like Knock Code. Both a Beauty and a Beast, the Meizu MX4 flaunts a gorgeous real metal frame, has a 20.7 MegaPixel camera with Sony sensor, and runs Android-based FlyMe OS with MediaTek's new LTE-enabled Octa Core chipset. But the best thing about release: Its very affordable price tag. Those who've met me would know that Sony Xperia Z2 was my daily smartphone for almost the entirety of 2014. Elegant, luxurious, and powerful, SXZ2 delivers a lag-free mobile experience and remains to be one of the best cameraphones available in the market. As a tech blogger who loves taking selfies, a smartphone's front-facing camera is a feature that I can't brush off and scrutinize any less than all the other key specifications of a device. I've tried out many, many smartphones made for taking selfies and I find that Huawei Ascend P7 could well be the best out of all of them. The 8 MegaPixel front cam coupled with Huawei's top-notch 'beauty camera' algorithms continue to give me selfies that make feel more happy about myself when I look at them. The 'head-turner' and 'eye-magnet' Gionee Elife S5.5 held the title as 'slimmest smartphone in the world' for many months until Gionee itself broke its own record with the release of the S5.1. 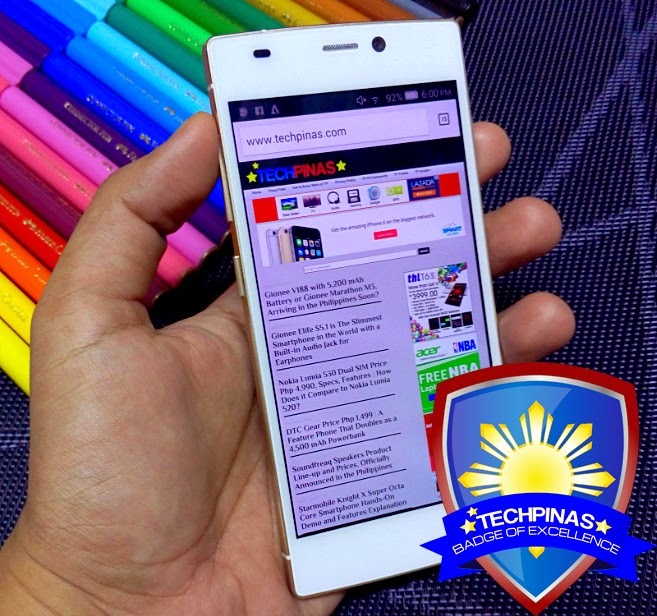 "I like its structured design, solid build, and metal shell; Whenever I hold it, it's like I have a nice slice of gold in my hand"; That's how I described the S5.5 to our friends at Gionee Philippines when they asked what I thought about their 2014 flagship release in one of our meetings last year. 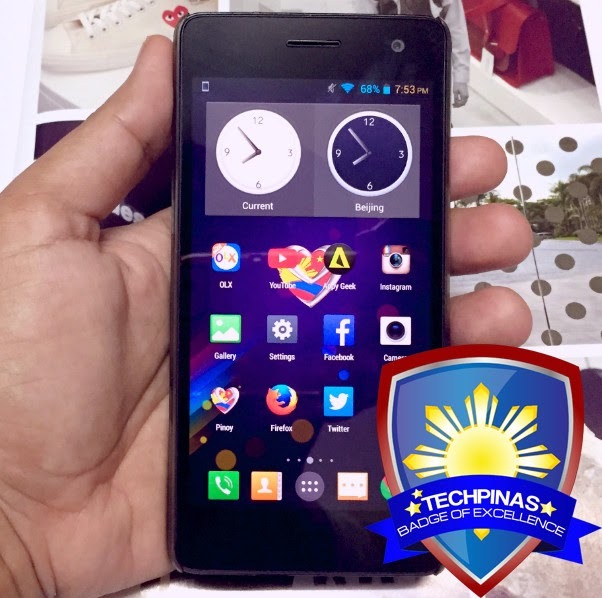 The Php 3,999 Cherry Mobile Flare 3 commanded very long lines in all major malls when it was launched in August 2014. And why not? For that amount, CM fans already got a device with a 5-inch qHD display, Quad Core processor, 1 GB of RAM, 8 GB of ROM, and an 8 MegaPixel camera. Talk about 'sulit'! 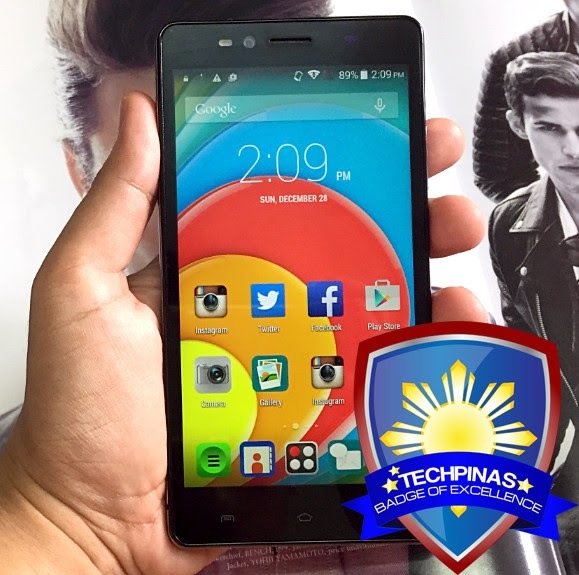 Dubbed as the "Phablet ng Bayan", the Flare 3 is now one of the best-selling handsets ever released by the local electronics giant. 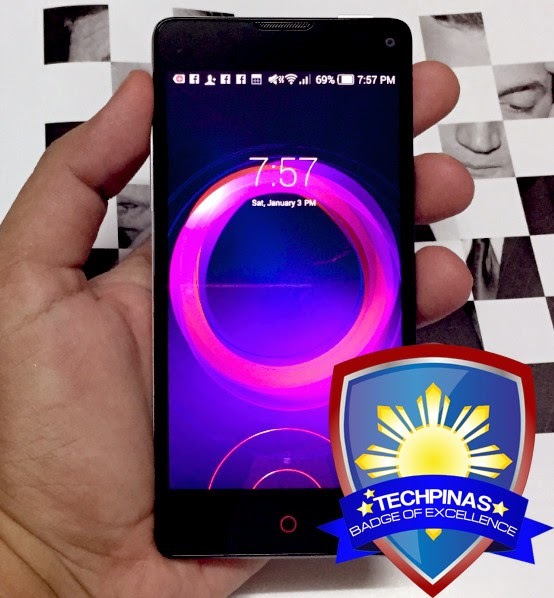 4.7-inch HD ZTE Nubia 5S Mini may be small but it's definitely incredible. Running on a powerful Quad Core Qualcomm Snapdragon 600 chipset and having a 13 MegaPixel and 5 MP camera combo, the 5S Mini is perfect for users who want a capable smartphone with great imaging capabilities that doesn't weigh as much nor take up too much space in the pocket. 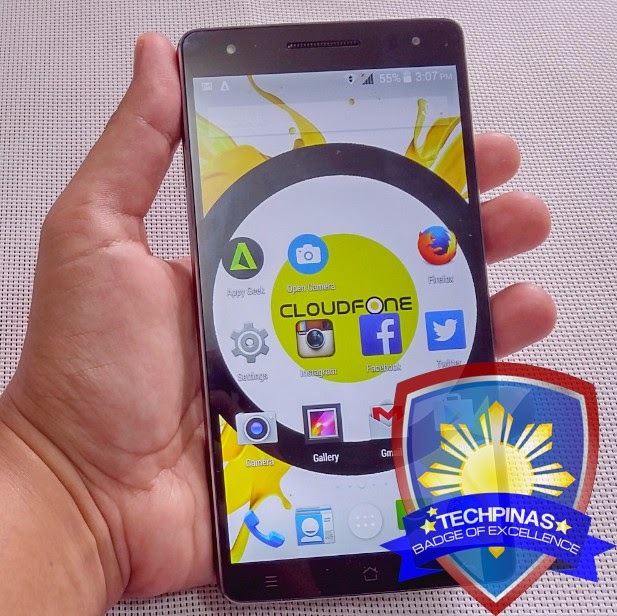 Flagship phablet CloudFone Thrill 600FHD is equipped with a 6-inch Full HD IPS display protected by scratch-resistant Dragontrail Glass touchscreen, 1.7 GHz Octa Core MediaTek MT6592 chipset, 32GB of internal storage, 2 GB of RAM, 13 MegaPixel main camera, 8 MegaPixel front cam, and a sizable 3,000 mAh battery pack. Hard to believe it only sells for Php 13,999. 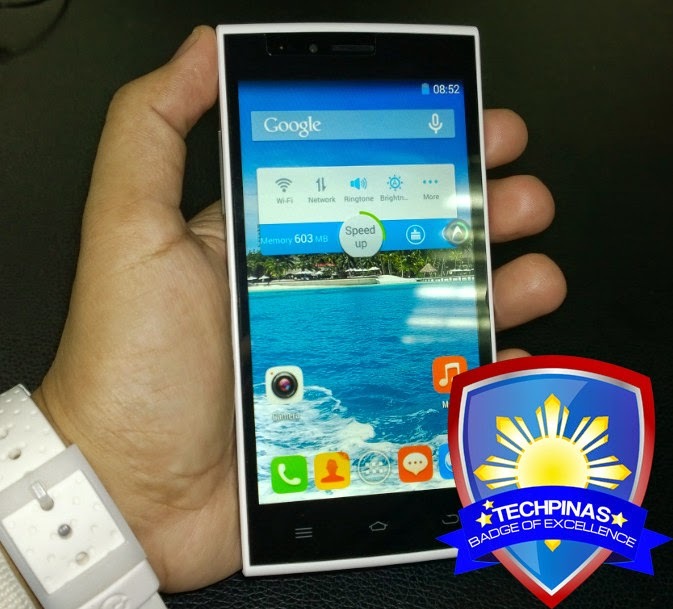 Released in April 2014, MyPhone Agua Rio was the first true best-seller from any local handset company in 2014. 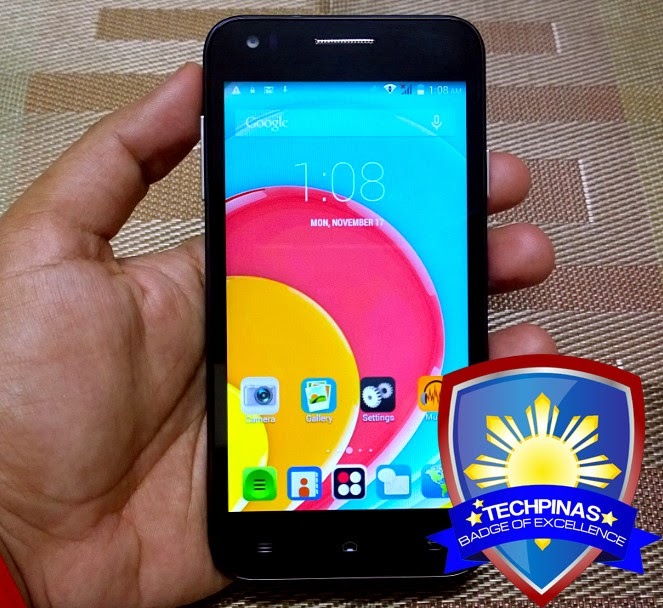 Priced at only Php 4,999 and featuring a 5-inch HD display plus a Quad Core chipset, Rio was praised by the tech-blogging community for combining affordability with great technical specifications. This initial release became so iconic that MyPhone deemed it best to create a whole family of pocket-friendly "Rio" smartphones for that hardworking 'halo' effect. Huawei MediaPad X1 may look like a tablet but it's a smartphone though and through. Metal-clad and running on the best innards from the Chinese Giant at the time of its release, the fairly-affordable MediaPad X1 is ideal for consumers who don't want to carry two separate devices in their bags. So what do I love most about this cool release apart from its svelte look? Its large and brilliant 7-inch Full HD IPS display and its big 5,000 mAh battery pack delivering an extended uptime. O+ USA was able to release more than a handful of incredible handsets in 2014 but the O+ 360 Extreme - I would say - is the most feature-packed of them all. On top of having almost all of the features found on the best-selling O+ Air, 360 Extreme - which feels like a block of glass when you hold it - also has a larger 5.5-inch HD display, an 8 MegaPixel autofocus front cam with soft LED flash, and a touch-sensitive section in its back panel for conveniently navigating the UI, unlocking the phone, or taking photos with just one hand. Obviously the follow-up to SXZ2, Sony Xperia Z3 flaunts the same water-resistant glass-metal-glass sandwich design identity but has rounder sides, has a similar 20.7 MegaPixel camera but with improved low-light performance, and runs on more powerful Snapdragon 801 processor. Overall, it represents a subtle upgrade from its predecessor but on its own - or seen as a competitor to other handsets that are out there - it delivers more than enough to deserve our top honors. 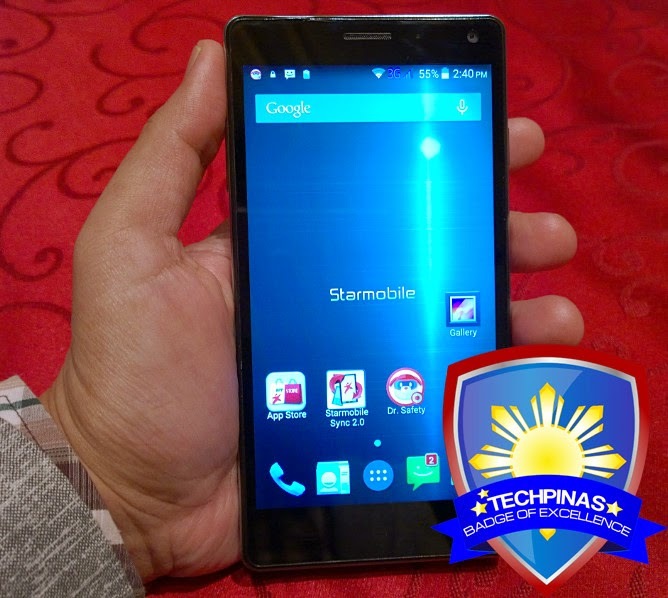 Released in March 2014, Starmobile Octa was the very first smartphone in the world to feature a front-facing LED flash allowing users to take clear and bright selfies regardless of the lighting condition. 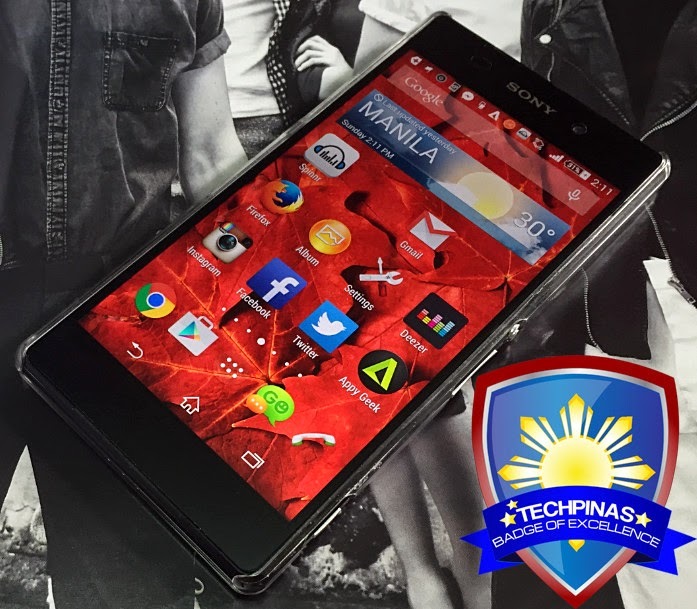 Back then, it also represented the very best of what Starmobile as a company stands for. "We want to show Pinoy consumers that a local company can come up with products that can compete with that of international giants in terms of looks, features, and internal specifications. Starmobile Octa's front aluminum frame, for example, was crafted using CNC technology, which is very precise because it is all done using a computer," Mr. Joey Uy, CEO of Happy Man Philippines, told me during Octa's launch. 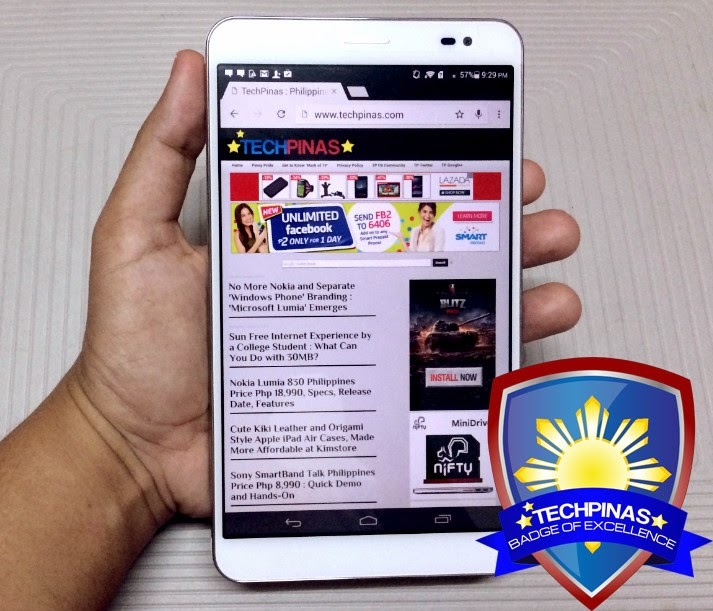 With SRP of only Php 3,999, THL T6s allows Pinoy Android fans to experience KitKat operating system on a device with a large screen and decent internal hardware without having to break the bank. And it also doesn't hurt that this handset is built like a tank; Yup, this one can definitely survive the knocks and bumps of daily use. 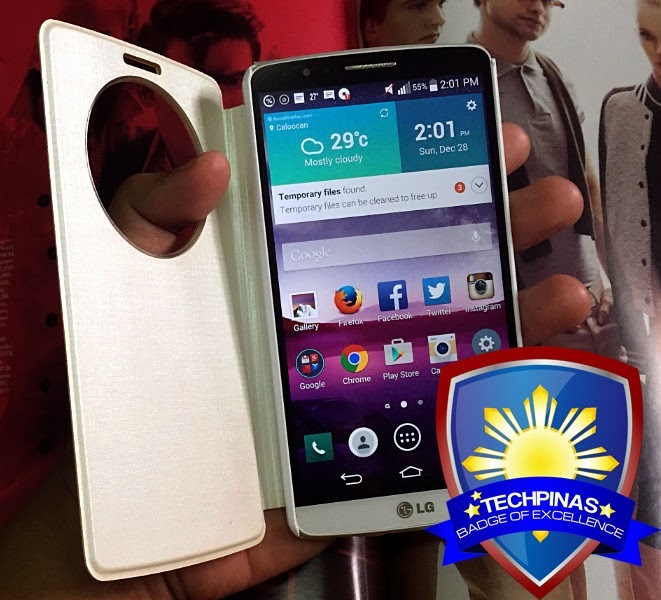 If you're a big fan of LG's key mobile features including Knock Code, Rear Key, UX interface, QuickMemo and many others but you're not quite ready yet to spend more than Php 8,000 on an LG midrange or high-end smartphone, the cute LG L Fino would be a great handset for you. 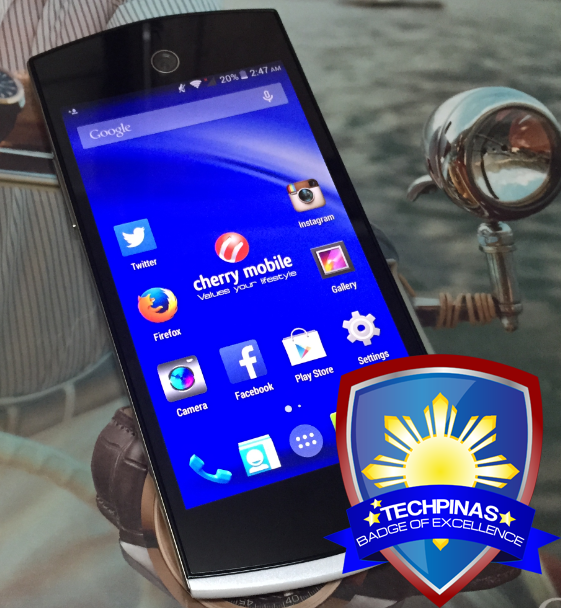 Cherry Mobile Selfie doesn't only have the best front-facing cam that the company has ever put on any of its many, many releases thus far but its main camera at the back performs just as amazingly. 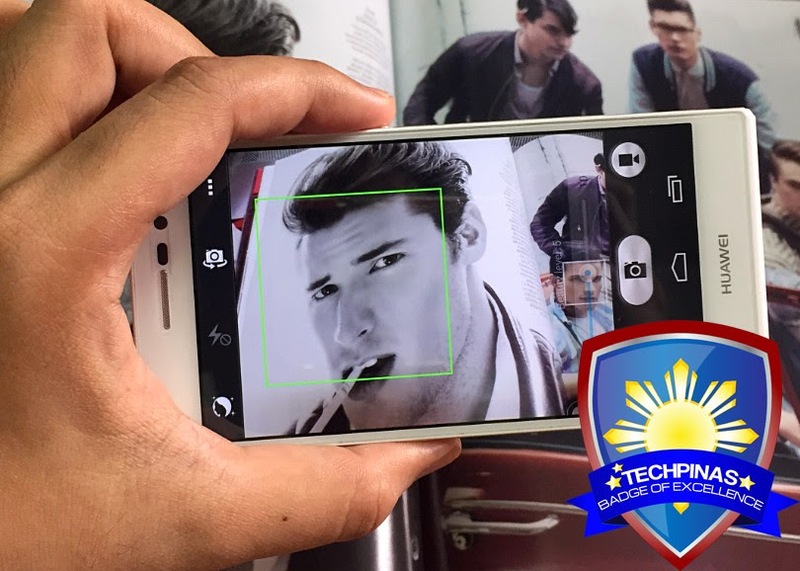 Personally, I call CM Selfie the 'best cameraphone' Cherry Mobile has churned out to date. Disruptive Chinese electronics company Xiaomi was able to sell more than 60 million handsets in 2014 - enough to make it the 3rd largest smartphone maker in the world (at least before Lenovo's move to combine Motorola sales to its total figures) - and many of those units were of this affordable model. 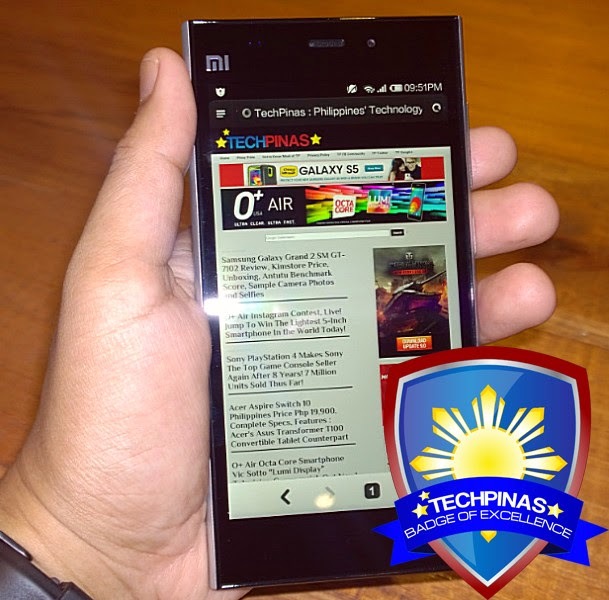 The Xiaomi Redmi 1s is a stunning proof that companies can deliver great specifications and features on a smartphone that does not cost any more than $200. 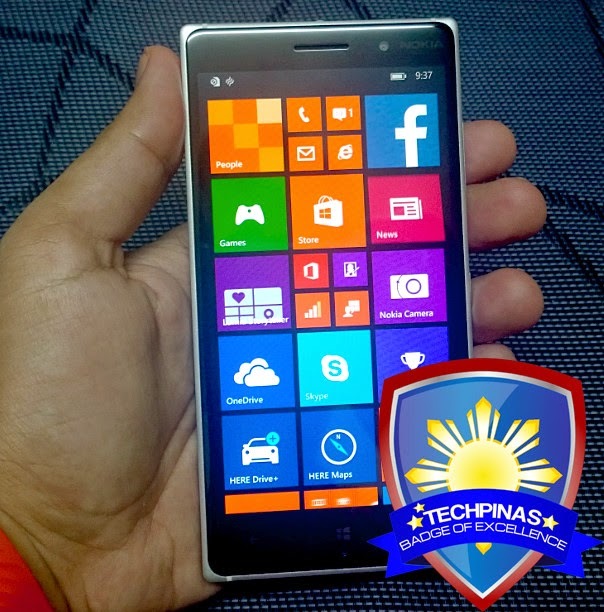 The first-ever Microsoft-branded Lumia smartphone, this release entered the Philippines last December with a very pocket-friendly price of just Php 5,995. And while I wouldn't call Microsoft Lumia 535 'perfect' (what phone is, anyway), when you consider its attractive design, good pair of cameras (the one in front is a 5MP shooter), and its slew of Microsoft applications and services - at that amount - I think it's already a steal. While most other companies are merely trying win the 'specs battle', O+ USA showed everyone that there are other ways to get the attention of consumers. One of which is by introducing unique features on their devices; Like a touch-sensitive back panel. The midrange winner O+ 360 doesn't only have good technical specifications but also comes with this landmark innovation. 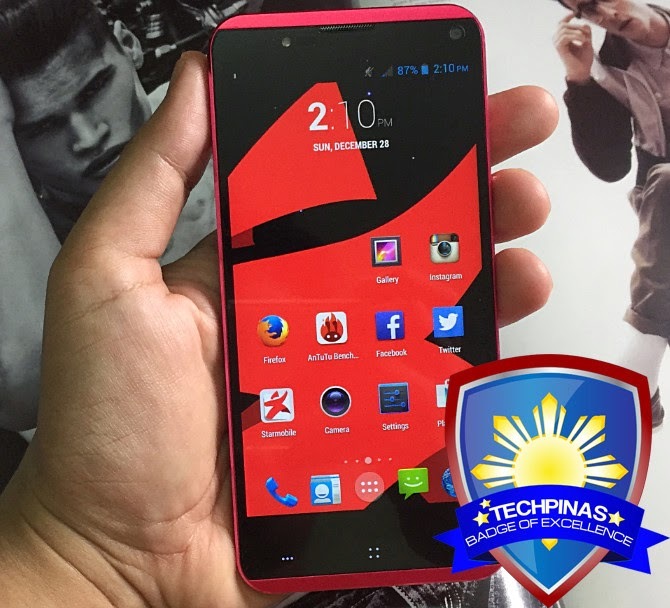 Running on an Octa Core MediaTek MT6595M chipset and having 3 GB of RAM and 32 GB of ROM, 5.5-inch Full HD Starmobile Knight X is - as of today - quite easily the most powerful smartphone by a Pinoy handset company that's available in the market. 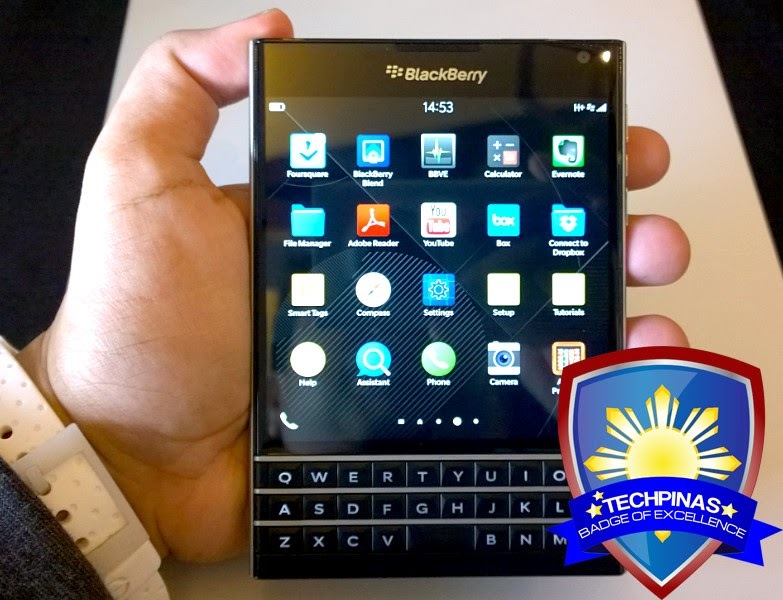 Personally, I think it's amazing and inspiring that even whilst BlackBerry is currently experiencing the most trying period in its recent history, the Canadian company was still able to come up with the handsome and tempting BlackBerry Passport, which combines a large touchscreen display, a tactile fretted keyboard, and a solid set of imaging features and internal hardware. 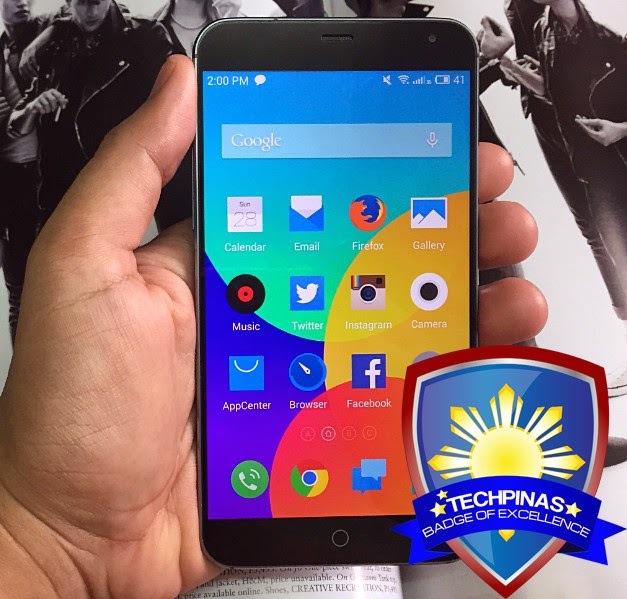 Xiaomi Global officially entered in the Philippines in June 2014 with the release of its then flagship smartphone, the Mi3. 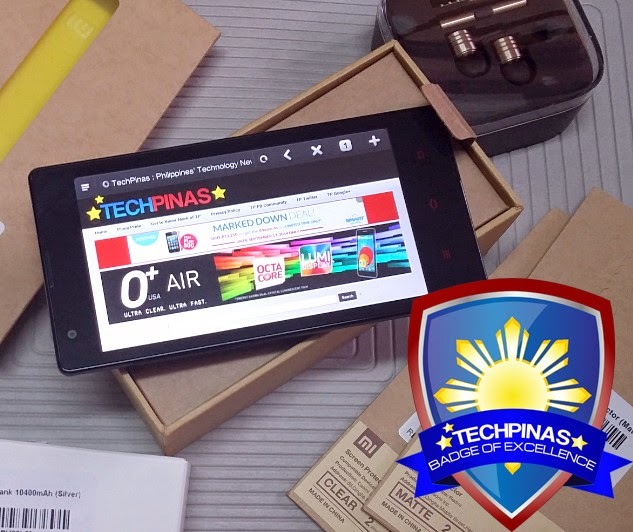 With a Lazada price tag of only Php 10,599, this best-seller truly made industry-leading technical specifications - previously available only on devices selling for no less than Php 30,000 - accessible to budget conscious consumers. 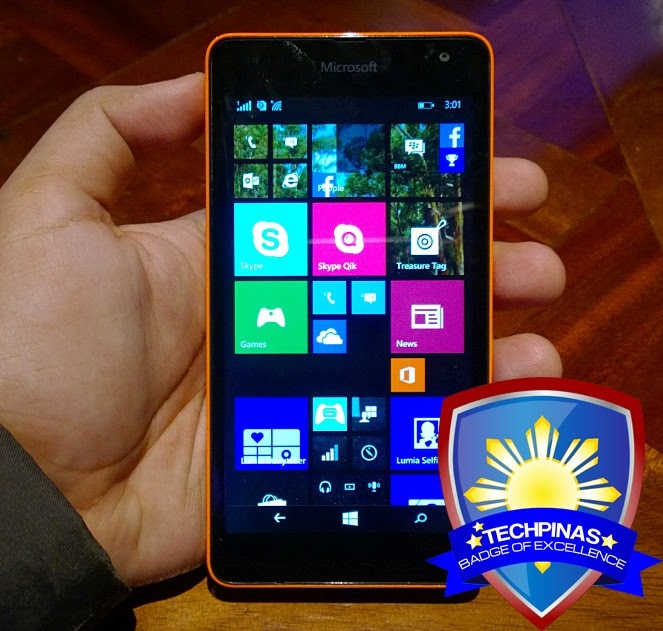 Prior to the launch of Nokia Lumia 830, the Finnish company's legendary Pureview technology was exclusive to the company's top-of-the-line or high-end handset releases. 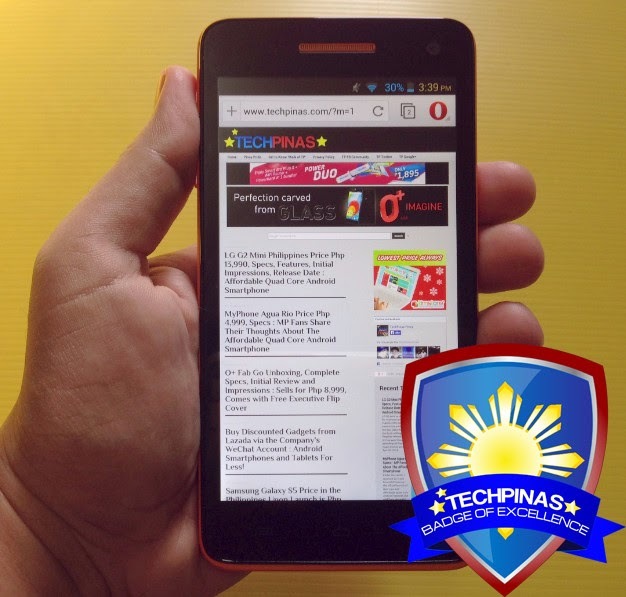 Thanks to this fairly affordable mid-level smartphone, more consumers - even know who are not keen on spending more than Php 20,000 on a phone - were able to experience the benefits of that mobile imaging innovation. 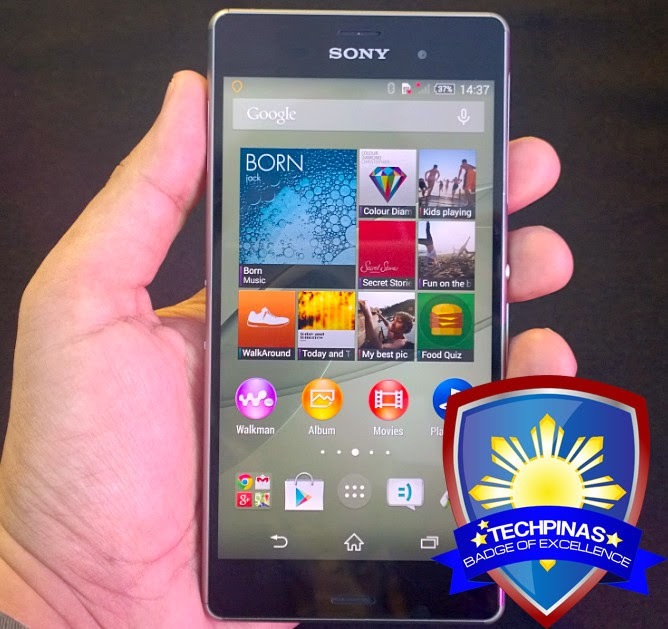 Truly a "compact" instead of a "mini", the 4.6-inch IP68-Water-Resistant Sony Xperia Z3 Compact packs flagship-level specifications and imaging features from the legendary Japanese company in a device that's small enough for efficient one-handed-use. Looking for a no-compromise smartphone that is a joy to hold and doesn't take up too much space in your bag, purse, or pocket? 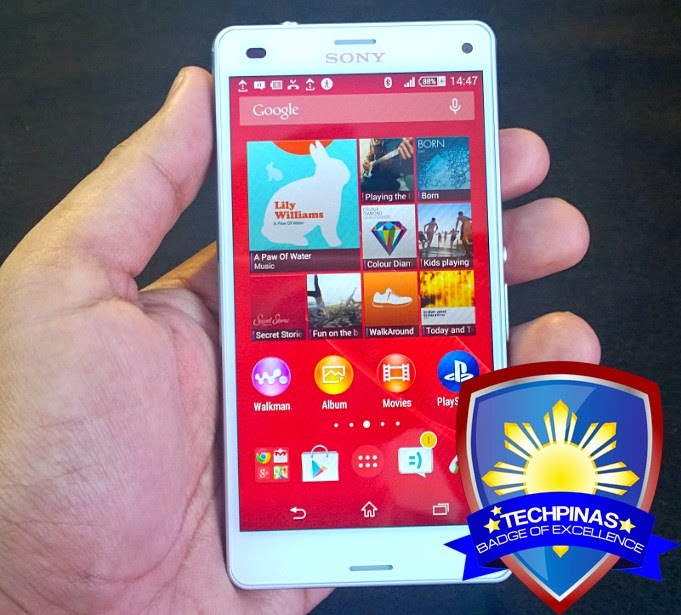 SXZ3 Compact was crafted by Sony with you in mind. Flaunting a visually arresting Glass-Metal-Glass sandwich design identity as well as a brilliant 5-inch Full HD IPS OGS display underneath scratch-resistant Gorilla Glass 3 touchscreen, MyPhone Agua Infinity was one of the first smartphones running on an Octa Core processor to the launched in the country. 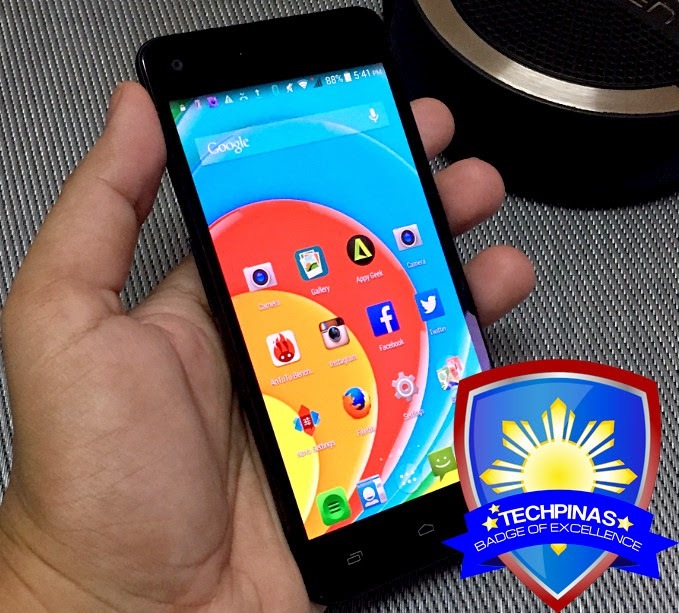 Praised for its svelte looks, smooth touch and gaming performance, and good pair of cameras, the Agua Infinity represented the very best of what MyPhone had to offer in 2014. Gionee Elife E7 Mini is not the only smartphone in the market with a swiveling camera but it's the only one that has that along with an Octa Core processor and a price tag that many consumers can easily afford. I also love the fact that it's not that heavy and it's small enough to fit in the pocket perfectly, ready to be used any time I see a subject that's cool enough to be photographed. 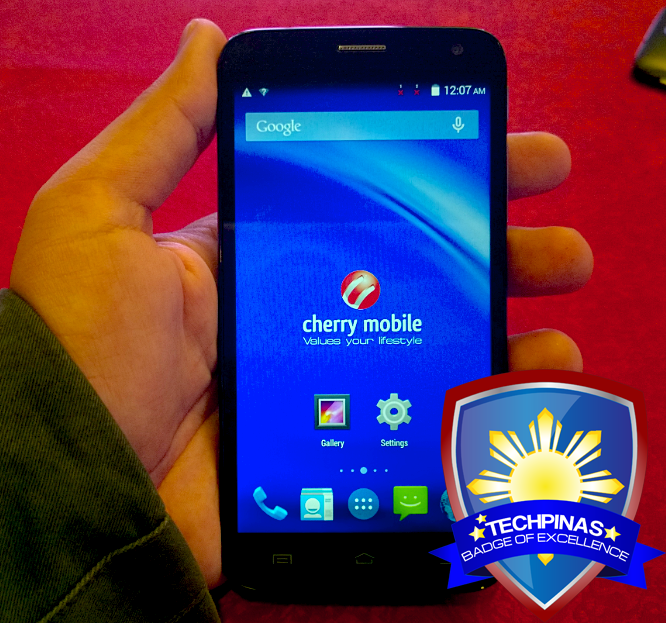 2014 had been a big year for Cherry Mobile not only in terms of sales but also when it comes to partnerships and new ventures. 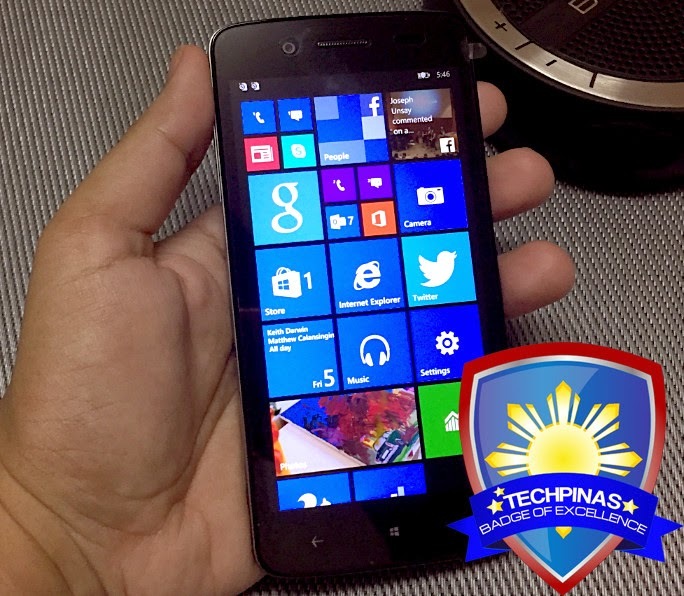 Last year, the Pinoy electronics giant was able to start and strengthen its collaboration with Microsoft Corporation -- and the very popular and winsome Cherry Mobile Luxe running Windows Phone 8.1 operating system was - thus far - the most well-received product of the landmark and on-going collaboration. 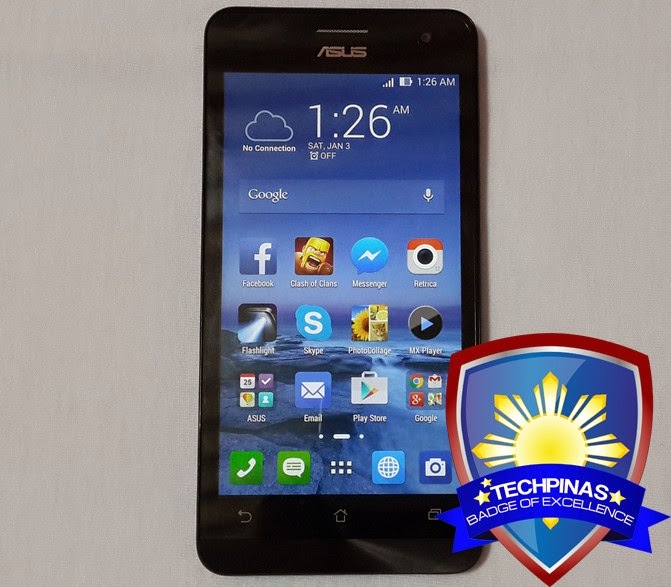 The most talked-about and beloved of the three Zenfone models that were launched in the Philippines in July 2014, Asus Zenfone 5 was able give all handsets in the midrange price category - from companies local and international - a serious run for the money by combining great looks, good specs, and decent imaging capabilities, packing all of which in a device that costs only Php 6,495. To quote my cousin Alvin Bristol who owns this phone, "I like it because it gives great value for me." Whereas long uptime remains to be an elusive feature in most Android smartphones to this day, the Octa Core THL T5000 with its unprecedented 5,000 mAh battery pack is a stellar outlier capable of delivering up to a staggering 1,000 hours of standby, 47 hours of talk time, and 11 hours of web-browsing! 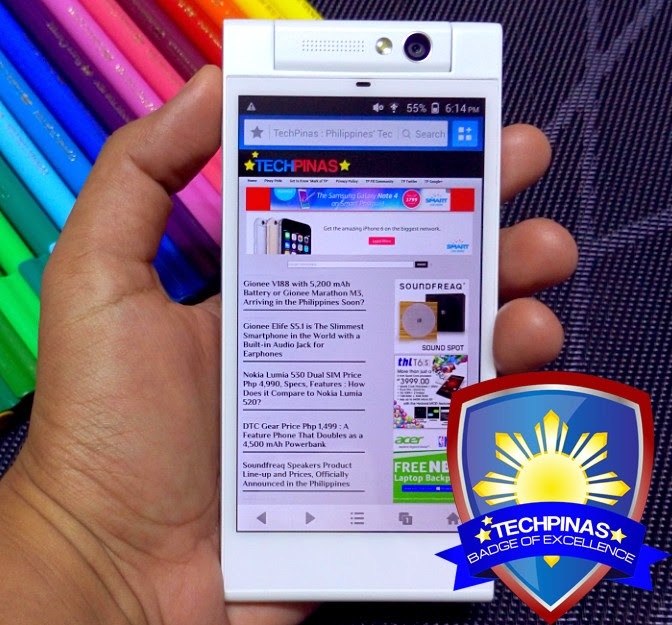 If ever there's an 'Energizer Bunny of the Android World', it would have to be this phone. There you go, TP Friends! These are the handsets that captured my fancy last year (and almost all of them are now a part of my personal collection). I believe these smartphones represent the best of 2014 and - until their 'direct successors' get announced - I'm totally inclined to recommend them to anyone who's currently in the market for a great handset to kick-off and jump-start 2015.